U.S. intelligence officials on the trail of rogue contractor Edward Snowden are now treating the National Security Agency leak case as a possible foreign espionage matter, raising fears that the 29-year-old computer whiz may be attempting to defect to China with a trove of America's most sensitive secrets, according to U.S. officials. "I think there is a real concern about that," a senior official familiar with the case told ABC News on Thursday. Another law enforcement official said it was a "very legitimate" worry. In an interview Wednesday with Hong Kong's South China Morning Post, Snowden said his country "had been hacking into computers in Hong Kong and [in China] for years." Those remarks alarmed intelligence officials, who considered those statements as much of a betrayal as his alleged leaking of highly classified files on the NSA's vast surveillance program to two newspapers last week, the senior official said. The Guardian, the British paper that first broke stories on NSA surveillance programs allegedly based on Snowden's information, reported overnight that Snowden took four laptops filled with secrets with him when he fled from Hawaii to Hong Kong late last month. Glenn Greenwald, a columnist for The Guardian, has promised more stories exposing U.S. operations were to come. "We need to ask a lot more questions about his motives, his connections, where he ended up, why he is there, how is he sustaining himself while he is there, and [if] the Chinese government [is] fully cooperating," Rogers said. "I think those would be all great questions to chase down." "He could do tremendous damage," Bash said during an interview for the ABC News/Yahoo Power Players series. "I think if a foreign government learned everything that was in Edward Snowden's brain, they would have a good window into the way we collect signals intelligence… He had access to highly classified information." When Edward Snowden revealed himself to be the source of the NSA leaks in an interview with The Guardian Sunday, he briefly described how he went from a high school dropout to a man entrusted with some of the nation's most closely guarded secrets. An investigation by ABC News pieced together the many parts that he left out. During this period, it appears he designed his own syllabus, taking college courses at five different institutions without bothering to seek a diploma -- an unorthodox path to a career in the world of high-tech intelligence gathering. Mavanee Anderson, who wrote an op-ed for a Tennessee newspaper on Wednesday about serving with Snowden when he was a U.S. attaché in Geneva from 2007 to 2009 -- a time when Snowden said he was really working undercover in computer systems security for the CIA -- said Snowden was insecure about his academic washouts. "He talked a great deal about the fact that he didn't complete high school when he and I were in close contact," Anderson wrote. "But he is an IT [information technology] whiz — I've always taken it for granted that he's an IT genius, really — who came by most of his skill and knowledge on his own." David Charney, a psychiatrist who works regularly with CIA agents and who has personally evaluated some of the nation's most notorious spies, said in an interview that Snowden appears to fit a familiar archetype – that of a man who is perpetually trying to prove that he is smarter than his resume may indicate. "He comes across to me as being fiercely bright and articulate, there's a mismatch between how his life went before and what he is actually," Charney said. "And that discrepancy is the thing that makes some people say, 'I'm going to prove to the world, I'm going to show everybody that I'm smarter than they think I am.'" ABC News has been able to establish a number of stops Snowden professed to have made during a career that led him to an NSA contractor's office in Hawaii earlier this year. Army officials at the Pentagon said Snowden actually didn't enlist until May 7, 2004 and reported for duty at Fort Benning, Georgia, a month later for a special program to train enlistees for a career in Special Forces. Snowden was assigned to the 198th Infantry Brigade for his training. The Army said Snowden was "administratively discharged" as a private first class, but cited the federal Privacy Act in declining to say more. "He did not complete any training or receive any awards," Army spokesman George Wright at the Pentagon said. Snowden's Army record show he attended Catonsville Community College in 2002 and attended Anne Arundel Community College in Arnold, Maryland. Catonsville Community College actually became the Community College of Baltimore County Catonsville in 1998. Hope Davis, spokesperson for CCBC says they have "no record" of a student with that name ever attending school there. A source told ABC News Snowden also said he attended classes at Johns Hopkins on a campus in Columbia, Maryland. 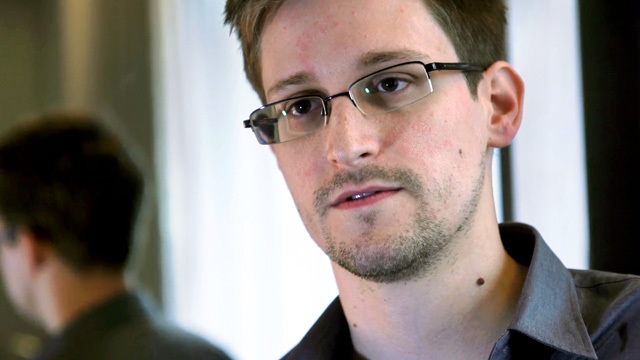 A spokeswoman for Johns Hopkins University said they have "no record" of Edward Snowden taking classes there. Instead, the Maryland Higher Education Commission said that someone named Ed Snowden actually took "MS Windows 2000 Systems Engineer w/ Exchange" at a for-profit entity known as Advanced Career Technologies from February 2002 to May 2002. The school offered career training in Columbia, Maryland, under the name "Computer Career Institute at Johns Hopkins University." Hopkins ended its relationship with the company in 2009 and it shut down in 2012. In addition, Snowden did work towards a Master's Degree at the University of Liverpool, taking an online Computer Security class in 2011. Kate Mizen, head of public relations for the University of Liverpool, said he studied there, but "he is not active in his studies and has not completed the program." "We serve non-traditional students, mostly working adults," said Bob Ludwig, Assistant Vice President, Media Relations for the University of Maryland University College. "We don't have a traditional campus environment, as most of our classes are online." The Guardian report indicated that Snowden's professional career also included a stint in Japan, with the Texas-based computer giant Dell. A Dell spokesman has angrily refused to verify Snowden's employment there, at first saying the company had been advised by the Department of Justice not to respond to questions. When a Justice Department official refuted that, the Dell official revised his reasons for remaining silent. "That request came from our customer," the company spokesman said, without identifying that customer. Around this time, in February 2010, Snowden allegedly wrote online that society "seems to have developed an unquestioning obedience towards spooky types." "Did we get to where we are today via a slippery slope that was entirely within our control to stop, or was it [a] relatively instantaneous sea change that sneaked in undetected because of pervasive government surveillance?" he wrote. Snowden's upbringing remains a source of bewilderment for members of Congress, trying to determine where the now-famous intelligence contractor came from. "I'm trying to look at this resume background for this individual who had access to this highly classified information at such a young age with a limited education and work experience," Sen. Richard Durbin, D-Illinois, said when grilling NSA Director and Army Gen. Keith Alexander. "And [I] ask you if you're troubled that he was given that kind of opportunity to be so close to important information that was critical to the security of our nation." As the debate rages over whether Snowden is a traitor to the U.S. or a hero for exposing what he called "horrifying" surveillance programs, Snowden told The South China Morning Post he believes he's neither. "I'm an American," he said. Snowden has slipped back into the shadows somewhere in Hong Kong, but according to former Royal Hong Kong Police Force intelligence chief Steve Vickers, after making sure a public splash, it's unlikely the Chinese and Hong Kong authorities aren't tracking him. "It would be very surprising to me if they weren't aware of where he is and [aren't] keeping a close eye on what's occurring," Vickers said. "The longer he remains here and the more lawyers he sees and the more attention he gets… day by day it becomes more difficult to just have him put on a plane and disappear into the sunset," he said. A Booz spokesman declined to comment Wednesday about whether the FBI had executed search warrants to do forensic examinations of computers or company records pertaining to Snowden's short time as an employee. ABC News's Jonathan Karl and Rashid Haddou contributed to this report.